It only takes a few moments for the plumbing system in your home to stop working properly. There are many preventative solutions you can use to keep various plumbing problems from being a real threat. You can always add boiling water into a kitchens ink drain if you are concerned about any backups. Boiling water helps to soften any soap or grease materials that might get in there. This in turn keeps a backup from developing. You will need to get a few gallons of boiling water at a time for this to work properly so the area will roam freely and without problems. This is a much easier solution than adding a pipe cleaner or other chemical solution into your sink. By using boiling water, you will not add a great deal of fatigue into your pipes. Instead, you will break down some of the backup in your space, thus making it easier for the area to be cleared out right. Leaks often occur in your home due to old pipes. These include pipes made of older materials that have deteriorated. Sometimes pipes might weaken due to tree roots or shifting among other concerns outside your home. Replacing old pipes with newer ones is always a good idea as it keeps serious problems from developing. This ensures that your property will not be at risk of leaks, what with the water moving properly in your property. 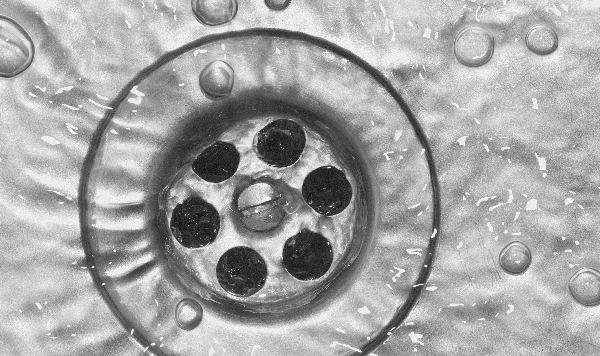 A shower drain or any other drain in your bathroom can become clogged up over time through old hair and soap materials. A wet/dry vacuum should be added to your drains in your bathroom so you can clear out the debris in them. Such a vacuum is appropriate as it can handle more conditions and take in more materials with a proper nozzle. This allows you to clear out your drains effectively without having to use an auger or bear with serious backups or odors over time. You can also use vinegar to unclog your drain. Your water heater should be checked upon regularly. Look at your heater and see that it is working properly without any delays in getting hot water out. Look at any fittings around your heater and see that they aren’t overly tight as anything too tight might cause undue pressure. On a related note, you must also replace your heater every ten to fifteen years on average. It is easier for an older model to develop rust. This will cause the unit to stop working properly after a while. Any water supply valves that you aren’t using should be turned off. This includes turning off all connections to any appliances that are not in use like a washing machine after you have no loads left to work with. Any overly active valves can deal with more pressure than necessary. This can cause cracks and other problems in some of the worst cases.